The game of hockey is open to any and all who care to be involved. 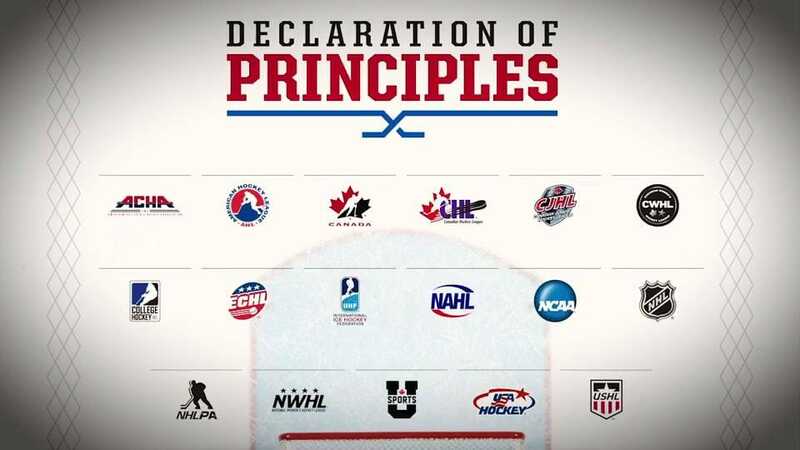 On Wednesday Sept 6th, the NHL and NHLPA made it clear that that will continue to be the case with the official announcement of the Declaration of Principles. The Declaration was established and will be carried out in an effort to "develop, promote and support positive changes in the sports culture." 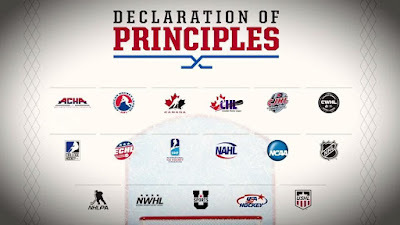 At a conference event that included children from local hockey clubs, current NHL stars such as Erik Karlsson, NHL Commissioner Gary Bettman as well as representatives from USA Hockey and Hockey Canada (among many others), the NHL and NHLPA laid out what they believe are the principle foundations of the game. Principles that even the Pope himself has blessed and endorsed. 8. The belief that all hockey programs should provide a safe, positive, and inclusive environment for players and families regardless of race, color, religion, national origin, gender, age, disability, sexual orientation or socio-economical status. Simply put: Hockey is for everyone. For more information on the development of the Declaration of Principles you can do so by following this link. You can also view and listen to what brought about the development of the Declaration and what the hope is for hockey's future going forward in a video clip with Pat Lafontaine, VP Hockey Development and Community Affairs.